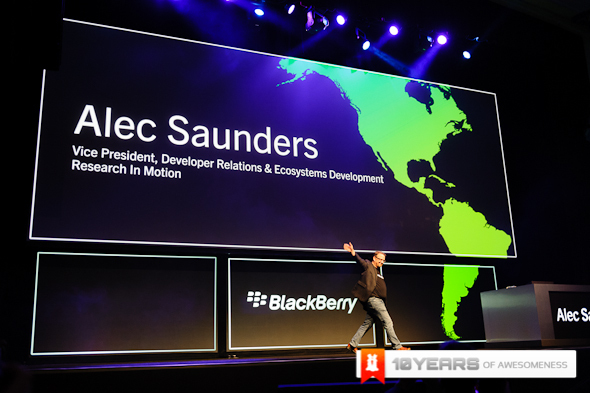 Formerly known as DevCon, BBJam Americas is the last big event on the 2012 calendar before the launch of BlackBerry 10 early next year. 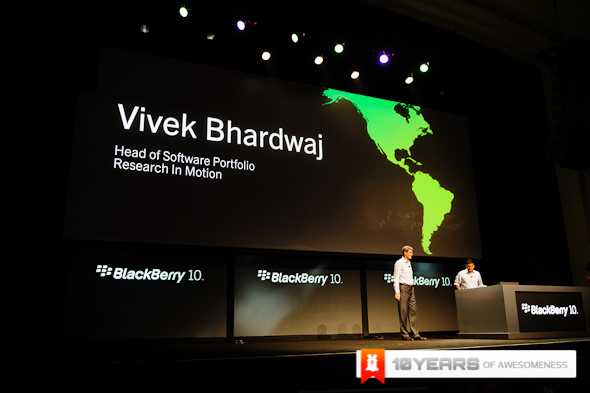 The last time we saw BB10 at BBWorld in Orlando, we were wowed by the sheer beauty and potential that it had to offer. 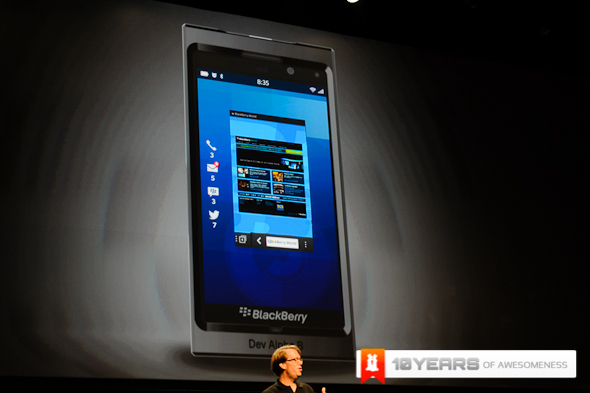 After a setback with delays, pushing the official launch back to next year, many people wrote RIM off and lost faith. Today at a packed auditorium in San Jose RIM has just shown us why we can’t even begin to start counting them down and out. 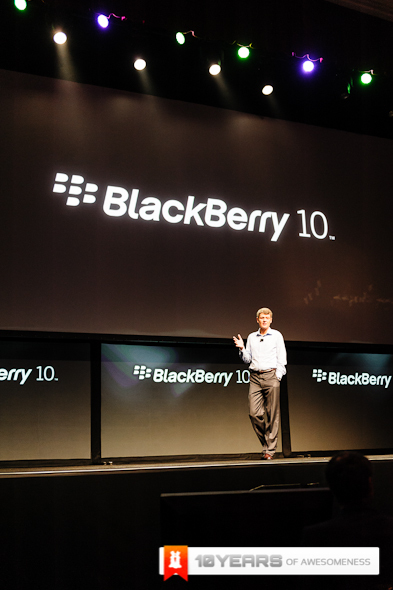 RIM CEO Thorsten Heins has much faith in BlackBerry 10, saying that “BlackBerry 10 will introduce a shift to true mobile computing” and after a world tour to meet with the carriers, they agree, even going so far as to say that BB10 is beyond their expectations. 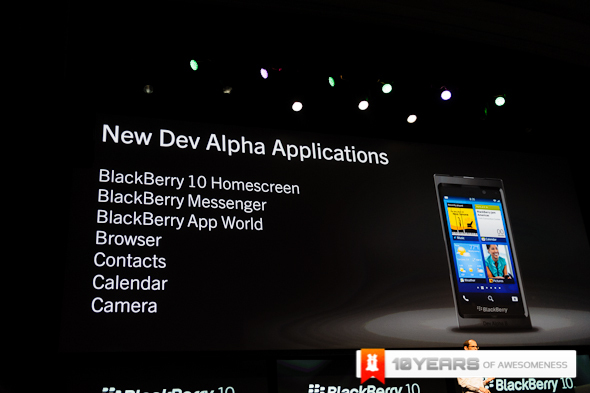 We first saw the elements of BB10 at BlackBerry World in Orlando earlier this year and in this time they have certainly improved it quite a bit, adding many elements and further integrating an already seamless OS. 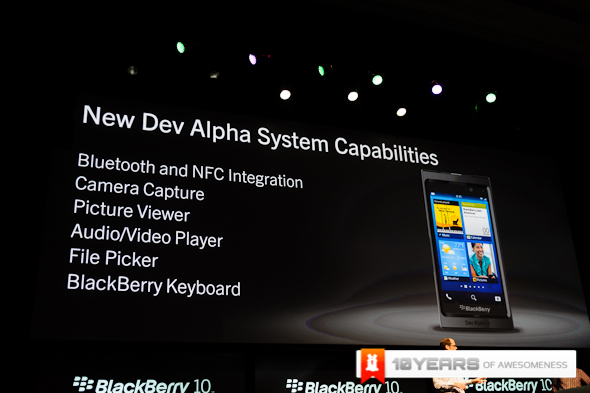 For the uninitiated, the 3 main components of the OS on show today were BlackBerry Flow, Peek and Hub, all of which Native to the OS. 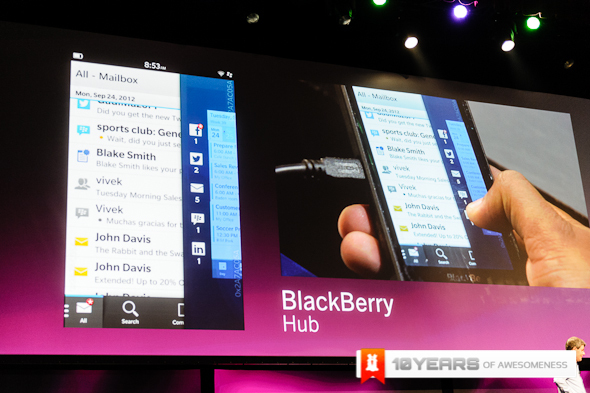 Starting with the BlackBerry Hub which is a unified area of sorts which will be the central focus of the OS. 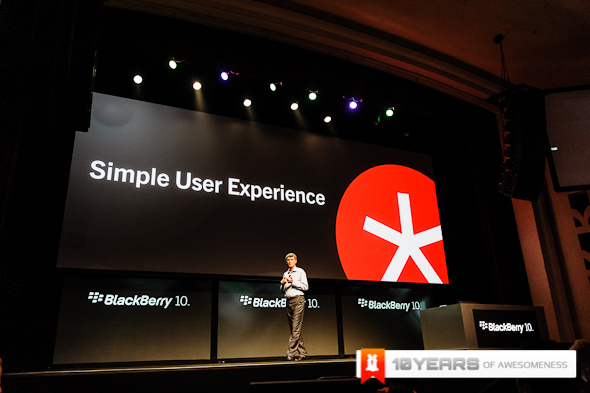 All of your accounts will have their notifications there, from LinkedIn to Facebook, it’s a central repository for information on your BB10 device. 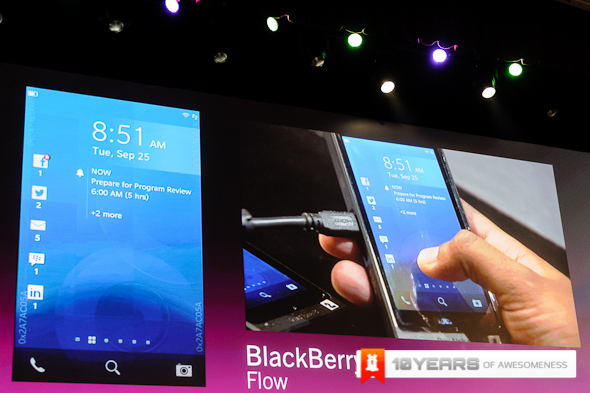 BlackBerry Flow is what ties everything together. 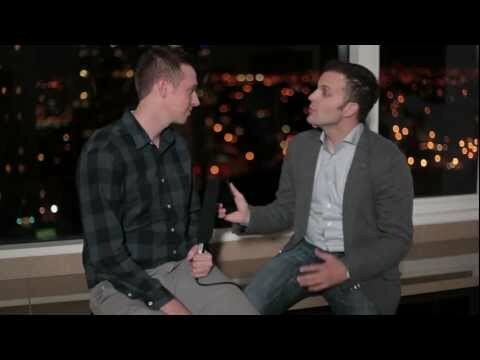 The ability to have all apps open to an extent and be on hand when needed instead of having to “worry about opening apps, they should just be open”. 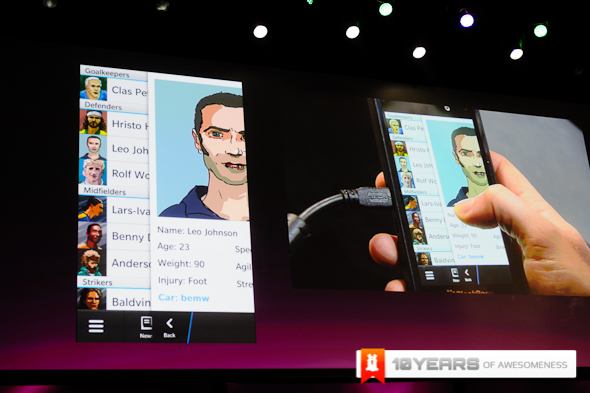 Flow is a very beautiful representation of what’s going on on your device. 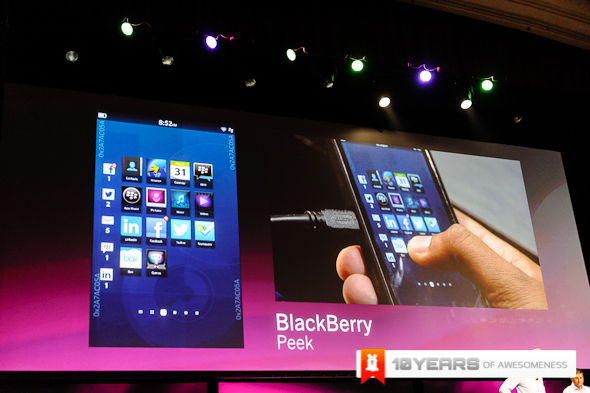 Peek is a very interesting way to multitask, if it can be called that. Say you are doing something on the browser and you feel a vibration telling you that a message has come in. Without having to push the app to the background, exit it or just put it on standby, you can just swipe to the right to call up the notifications menu and another swipe will bring up what it is. If you don’t find it that time sensitive, you can go back by reversing the swipes and you will be right back where you started. 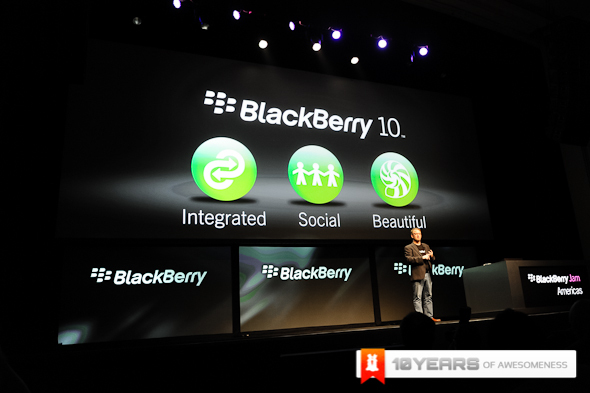 We also saw the improved BBM from BB10, giving a more beautiful and visual representation of both your contacts list and chats. 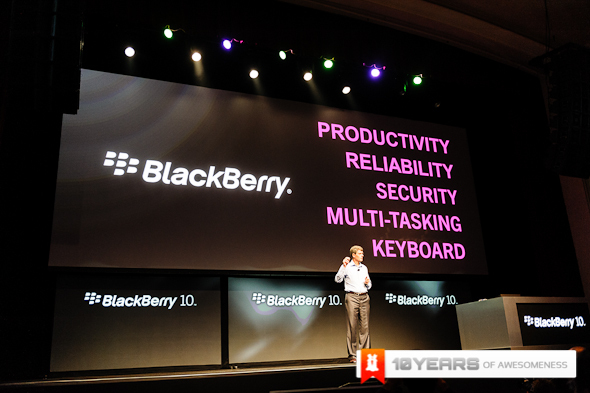 Another feature that was improved was the virtual keyboard, something RIM wants to take and position as the market leader in that space. 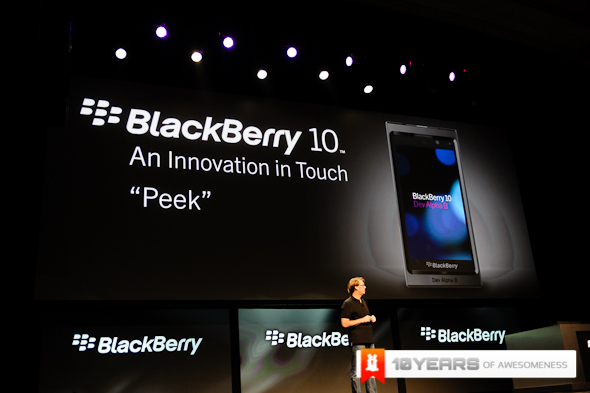 From what we’ve seen, there will be no question when it does come out. 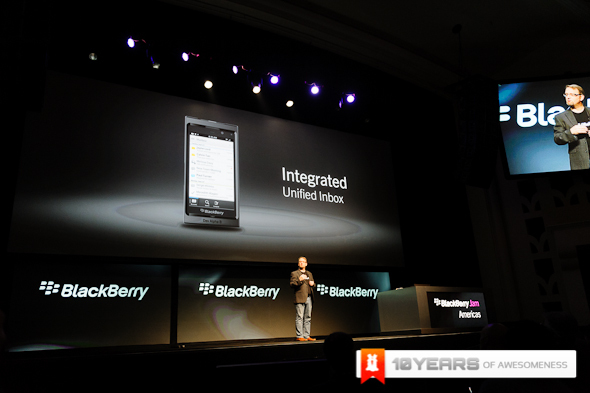 We have always been impressed by the keyboard and the swipe up to autocomplete from the letter. 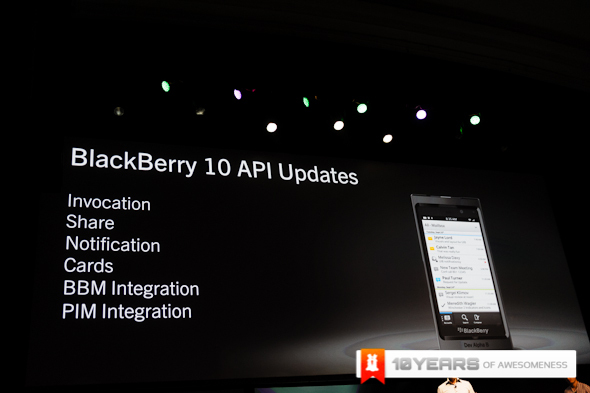 If you’re multilingual, you’ll know that autocomplete does not work well if you’re not on the right language pack. 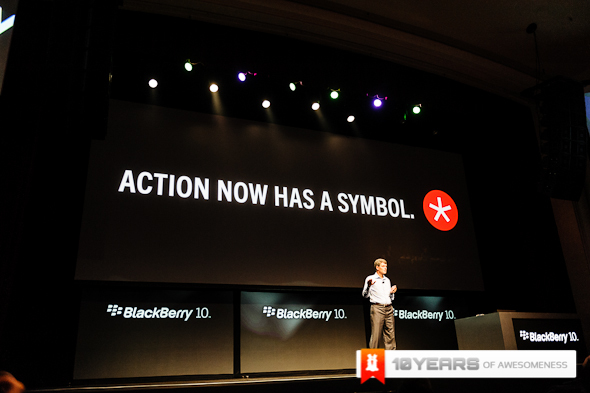 The new BB10 keyboard allows you to autocorrect in multiple languages without having to change any language settings. It’s just that intuitive.